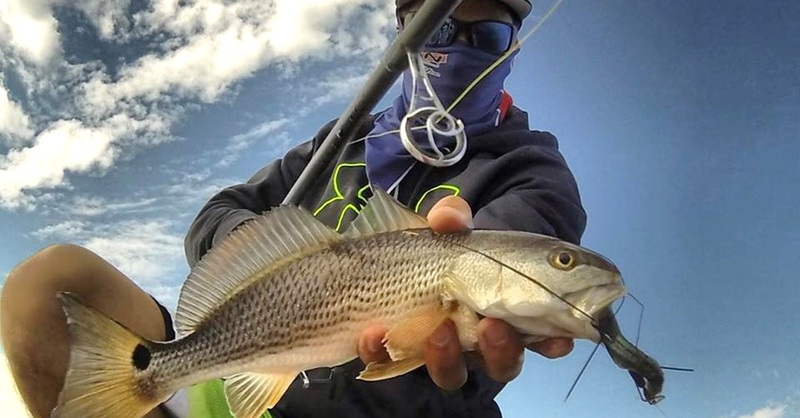 Choosing the right guides for your fishing rod can make or break the overall performance. From casting distance and accuracy, to the ability to land a fish, you need the right guides for the right application. In this article, we review American Tackle's MicroWave Line Control System. The MicroWave Line Control System was specifically designed to improve rod and angler performance by adding distance, accuracy and line control. We should note, this article reviews the MicroWave 9-Piece Guide Set, Black Frame, with Nanolite Ring (Part Number NBMW-SET) for spinning rods using fishing reels in the 1500 through 3000 series size. American Tackle also offers MicroWave systems for casting, surf and other applications – so stay tuned for more on those! The first thing you will notice is the unique look of the MicroWave first stripping guide. At a 10,000 foot level, the MicroWave system is designed to quickly reduce line static and friction as it moves through the fishing rod guide train. The MicroWave system is sold as a kit and includes all guide train components, so the customer will be sure to get all the right parts. This base kit can be used on spinning rods that are 6′, 6’6″, 7′ and 7’6″ in lengths. The first stripper guide is where the magic happens, as it serves as the primary funnel for the line. Once it leaves the first stripper guide, the transition guide then further straightens out the line, making it easy for the remaining running guides to transition the line down the fishing rod. The running guides pass the line adding almost zero resistance, and the form factor also helps to reduce wind and tangle knots. 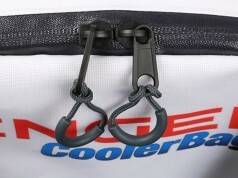 American Tackle has spent many years tweaking this design to get it perfect. Here are the top 5 reasons why they say you should consider using their MicroWave system. Increased Casting Distance. Achieved by capturing and directing energy into forward motion maintaining line speed. Reduction in Fatigue. Less force is required for casting using increased line speed because the blank will load and recover more naturally without inhibition from increased line vibration. Increased Casting Accuracy. Less force is required for casting using increased line speed because the blank will load and recover more naturally without inhibition from increased line vibration. Increased Lure Range of Rod. Using controlled energy, lighter & heavier lure weights can be used without rod blank materials compensating for lost efficiency. We would add a sixth reason; it flat out looks really cool too! Overall, we were very impressed with the performance of the MicroWave system. 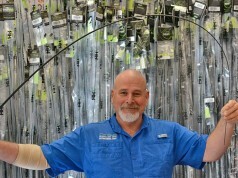 We built several rods using a variety of rod lengths, actions, reel sizes, and line types, and this is what we found. This MicroWave system is ideally suited for spinning reels in the 1500 through 3000 series. For the 6′ and 6’6″ rod lengths, you may not require all the running guides that come in the kit. It is always good if you can first tape the guides into place and use a static load test to see what looks right to you. Finding out you don’t like the placements after the epoxy finish tries can be frustrating to say the least. The MicroWave system really shines when used with braided line, and performs very well with new monofilament line. Although the system does address coiling-memory issues with monofilament, you may encounter diminishing returns when using very old mono with the MicroWave system. Also, to get the most out of the technology, try not to whip/snap cast. With the MicroWave system, that is not necessary. You can put a little backbone into it, but for best results use a smooth and controlled cast. We saw the greatest casting distance increases using braided line, and then new monofilament took second place. Casting accuracy was more subjective. All in all, the MicroWave Line Control System lived up to our expectations. Next time you are building a spinning rod, give the MicroWave Line Control System a look and see for yourself. We think you will be pleasantly surprised at how it performs. Overall, we were very impressed with the performance of the MicroWave system. We built several rods using a variety of rod lengths, actions, reel sizes, and line types, and the MicroWave system performed well on all. Ideally suited for spinning reels in the 1500 through 3000 series, and rod lengths between 6' and 7'6" - the MicroWave system really shines when used with braided line, and performs very well with new monofilament line.